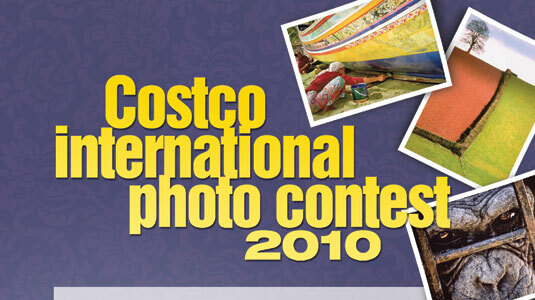 Today is the last day to submit your entry for the 2010 Costco International Photo Contest! Hurry on up to www.costcophotocontest.com to enter. Grand prize is a $1500 Costco gift card. If you want to enter by snail mail, you can fill out this form and make sure it’s postmarked by today. That page also has the contest rules on it. I’m no judge, and I’ve definitely never won the contest, but from looking at past winners it seems they really like a photo that has some international flare, perhaps one that was taken in a country besides the U.S. and if it has an animal in it that is even better. Could just be that most photos submitted have animals in them, but the overall winner last year was a gorilla. Good luck! Any one here ever won an honorable mention or anything? « Costco Coming to a Mall Near You?